We were sitting at the dinner table the other night and talking about how much we love our home. It was hard for us to believe it has been two years since we moved in. It feels like yesterday….one of the best days of our lives. Joel and I always knew we wanted to build with Ramm after falling in love with the Jacklyn floor plan. It became more of a necessity after I had cancer and needed to get out of a two story house to a ranch. You and Jerry worked with us to modify our house to make sure it will work for us into the future, no matter what happens. Most couples do not love the building process. Joel and I, along with our children, loved every step of it. Working with Ramm and your vendors to make our house a home was easy and fun. I would do it again….if we didn’t love our home so much. Thank you Ted and Jerry. Sorry it took so long to write this. You deserved a pat on the back so much sooner!! You truly are the best among the rest! I just wanted to send a thank you and let you know it’s been a great year in our new Ramm home. Everything is almost done with the 11 month warranty work and as was the case with the home building process it’s been a very pleasant experience. Please send a big thank you to the entire team from Allison and I for providing such great service and such a quality home. We can’t believe it’s already been four years since we moved in. It’s such a great home and we love it here! Kim, Gracie, Ellie, and I just wanted to send you a thank you for the beautiful home you built for us. We are really starting to get settled in and couldn’t be happier! Kim and I have told several people what a great experience we had building our home with your company. In a day and age where good service seems to come few and far between, I can’t tell you enough how impressed we were with the whole process. I work for a company that puts their customers first and as a result we have established a great reputation and have 37 years of success serving nearly 35,000 customers. So, I take customer service personally and unfortunately I hear about and experience bad customer service almost daily. I don’t shy away from telling people when I receive poor service (deep down I hope to be helping their company but more than likely I get ignored) but I also love to tell people when I receive and see great customer service! That is why I am writing this letter. I unfortunately had a less than spectacular experience with another builder before deciding on Ramm Construction so I was a little skeptical going into the whole process. I remember one of our first meetings with Ted and Craig, hearing your promises and your potential closing dates and thinking, “They seem like good guys but we will see!” After further discussions with Ted, Jerry, Craig, and their vendors, I began thinking “I think these guys really know what they are talking about and indeed they see it as a home for my family and not just another address!” The more and more we got into the process, the more and more impressed I became. As Kim and I started visiting different vendors, some modifications came. Ted was very organized and fair with pricing all along the way. I never once had to question any modification; he had everything very organized and explained in great detail. This made us feel very comfortable. Any questions or concerns, he would just pick up the phone and give me a call. He was always willing to share his experience if we needed it, again showing he wasn’t just building another home but he really cared what we wanted. As we met with different vendors, we heard every time that we choose a great builder and that they ran a tight ship and were on top of their scheduling dates. As we moved along in the process, I saw how evident this was! Jerry has a lot of experience managing these projects and was on top of the schedule the whole way through. We had several early morning conversations with him informing me what was going on at the house and what was coming next. Remarkably, only a few times did I have any concerns or questions and when I called Jerry, he usually was a couple of steps ahead of me. Not only did we close on the date they told us when we first agreed to start the project, but the last week was left for details and touch-ups. This really shows how being on top of the scheduling can ensure a great end result! You guys have it figured out. Lastly, the price wasn’t only fair, the schedule perfect, communication great, but Ramm Construction builds a beautiful home with fine details. With experience in wood working, cabinets, and trim, this is a builder who pays attention to details. The warranty company they use, which is one of the largest if not the largest in our area, even told me at the end that this was his best builder with the fewest claims. That says a lot. My family and I can’t thank you enough. We love our home and can’t wait to watch our kids grow up here. I would recommend your company to anyone who is willing to listen. They can call me or at anytime, you can bring someone by to show them our home. We are so happy with our new home! Thank you for doing such a fantastic job- we are very impressed with the quality and care that you guys put into your homes. We have been asked a lot how we liked working with you guys and definitely want you to know that we pass the good word around! Thanks again for everything- it was a pleasure working with you! Yes, every item that was scheduled to be repaired at this time was promptly repaired. In fact, I was greatly impressed with each sub and their ability to be on time and able to fix each item. This is the 4th new home I have purchased, and this has been, by far, the best experience with warranty work I have ever had. Thank you for your excellent attention to detail and professionalism. I was not in the market to build a house but to buy an existing home. As I searched for an already completed home I toured several spec homes built by Ramm Construction. The more I looked the more I liked what I saw. When I found out that I could buy a just started spec home in the area I wanted to live I took the plunge and I am glad I did. Ted and Jerry made the finishing process very easy as I was able to choose exactly what I wanted in the house. 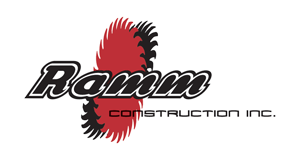 As I was going through the finishing process I talked to many people who had heard of Ramm Construction or had experience with Ramm Construction and everyone had nothing but positive things to say about them. These were neighbors, real estate agents, sub-contractors, wholesalers as well as my mortgage broker and insurance agent. Not one negative thing was ever said. I have only been in my house 1 month but I have to agree with everyone else, Ramm Construction builds quality homes at afforable prices. Not that I plan on ever building again but if I do, I know my next house will also be built by Ramm Construction. Thanks Ted, Jerry and John! We moved into our Ramm home in late February 2009. The experience of building with Ramm has been made much easier because of Ted and Jerry. They addressed all questions we had quickly and professionally. The finished home has exceeded our expectations. Ramm Construction takes a great deal of pride in their work and surround themselves with very good sub-contractors. The proof is in the finished product and we have a beautiful home as our proof. We highly recommend Ramm Construction to anyone who is thinking of building their new home. I think you have made an excellent choice in Ramm Construction. Ted and Jerry Ramm are quality builders. I can attest that they have both their personal and business affairs in order. All the homes I have financed with Ramm have been completed on schedule. I would be more than a little surprised if you are not 100% satisfied with your home and the building process with the Ramms. If you have any other questions or need anything further, please let me know. We have been in our new home for over 3 months now. Kelly and I want to thank you for the great job you did on our house. We are very satisfied with what you did on the house. Your attention to detail in every aspect of this home was beyond my expectations. I have spent a number of years working in the construction industry and I am very familiar with what can go wrong or right on a home. You and your group did a first class job on this house. Ramm Construction was a pleasure to deal with through the whole project. This was the fourth house we have had built. It was by far the best experience. We want you to know that in today’s world your integrity and craftsmanship was,a pure joy for us. Thank you for a wonderful and painless experience, along with a great house. Jerry, you are the best! John and I feel lucky to have worked with you. If something did not meet our expectation you made the changes without hesitation. We feel you cared about our home as much as we do. Thanks for a terrific job. I want to thank you for all of the help with the house. Holly and I enjoyed working with you and your brother. You made the process real easy and always answered our calls with any questions or concerns that we had during the building process. Most important of all is that we love the house. We have been in our house over a year now and everything is great. We even have another addition to the house with our daughter who is 4 months old now. The house is perfect for our growing family. We are also very pleased with the neighborhood, plenty of great young families. Just wanted to let you know that we are very happy with how everything turned out.